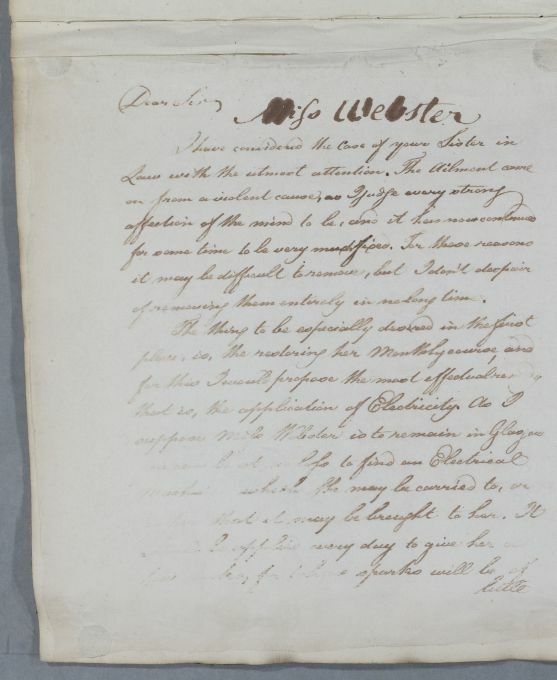 Letter concerning the case of Miss Webster, addressed to her brother. 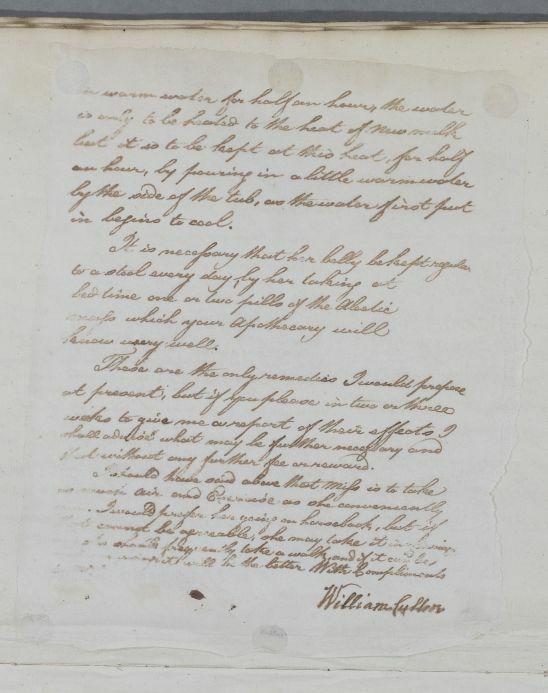 Summary Letter concerning the case of Miss Webster, addressed to her brother. 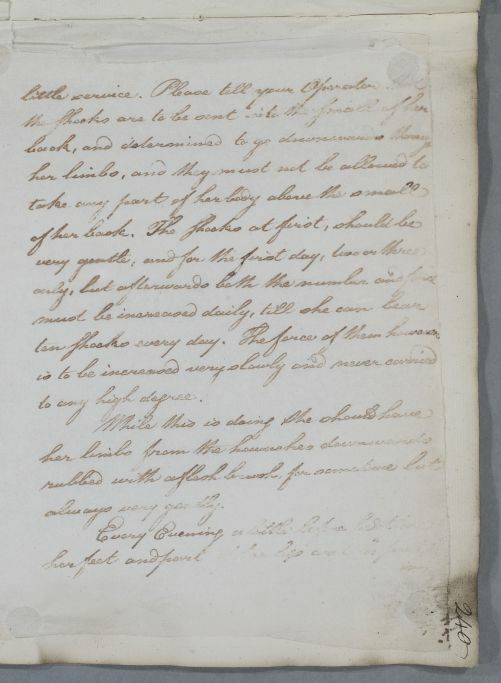 Case of Miss Webster whose unstated condition is thought to be partly an 'affection of her mind' associated with a menstrual irregularity.